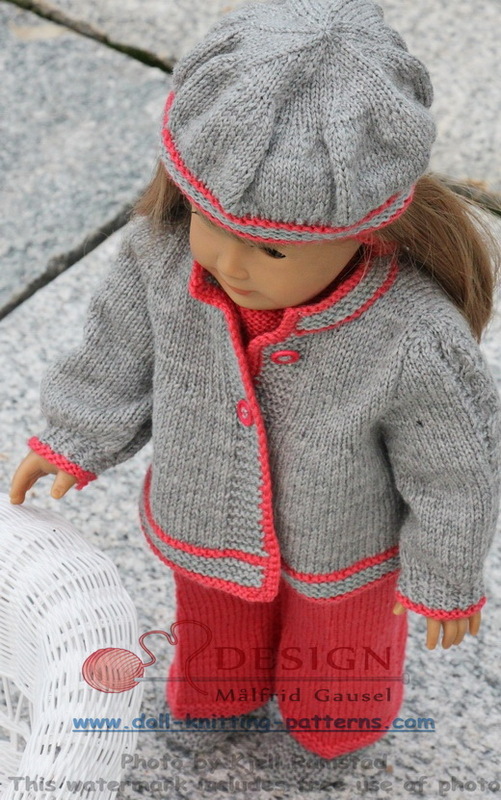 Lovely dressed dolls in this garment I think! Jeg fant ut at grått var en god farge til å kombinere med. Derfor strikket jeg denne enkle jakken med korall røde kanter og fletter langs ermene. Enkel og grei til å ha utenpå dressen. 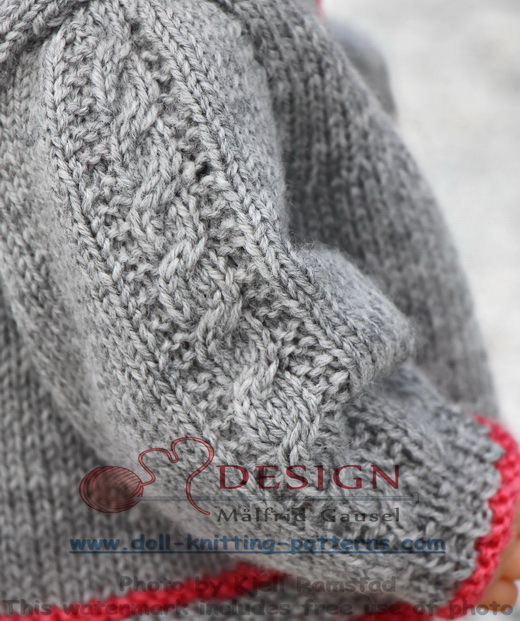 I thought, why not knit a hairband in this collar using the plait pattern. As thought, so done! The hairband is bounded together back with the garter stitched edges. Nice to wear when she not need the hat/cap. Ikke verst denne heller eller hva synes dere? ... was a good color to go with this coral red color. 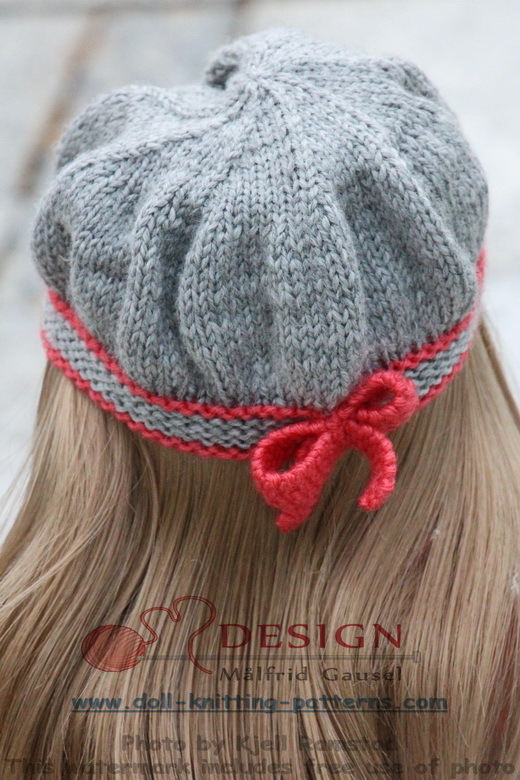 I knitted a band, formed it like a bow in, and sewed to the edge back of the hat. ... a bow in, and sewed to the edge back of the hat. 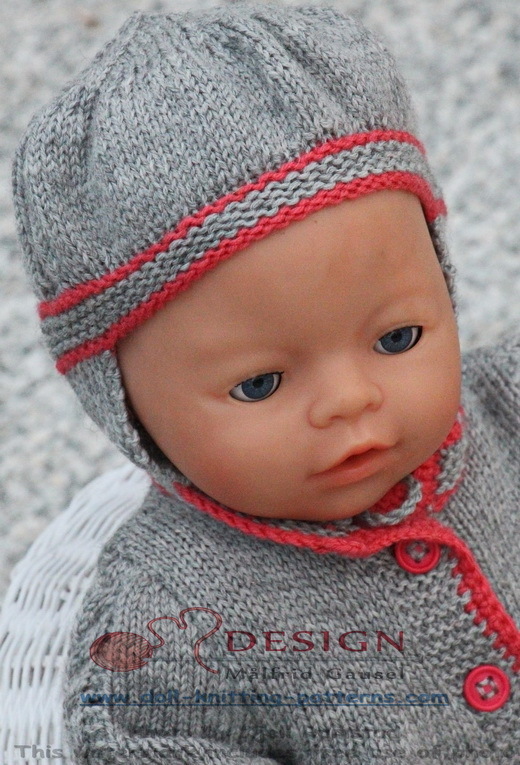 Lovely for “American Doll” However I thought Baby born was cute in a cap with earflaps since she still is a “little baby”. 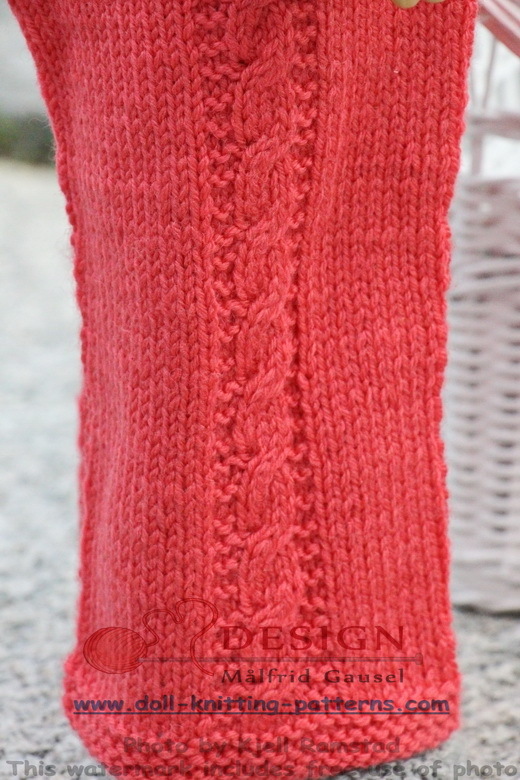 Socks knitted in grey rib with a coral red edge I also knitted to this garment. 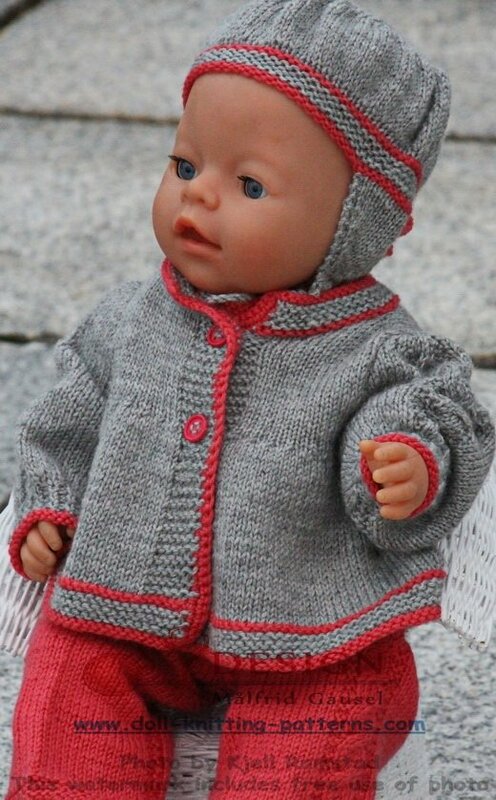 A lovely dressed doll in this garment I think! 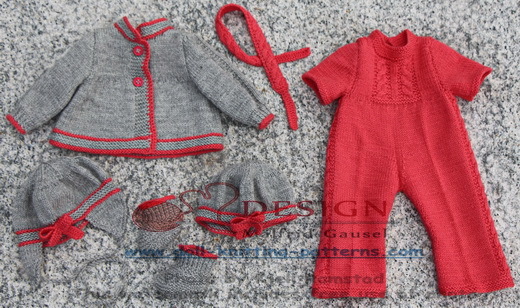 I hope you to like the clothes and want to knit them for your doll. Lovely for “American Doll” However I thought Baby born was cute in a cap with earflaps since she still is a “little baby”. 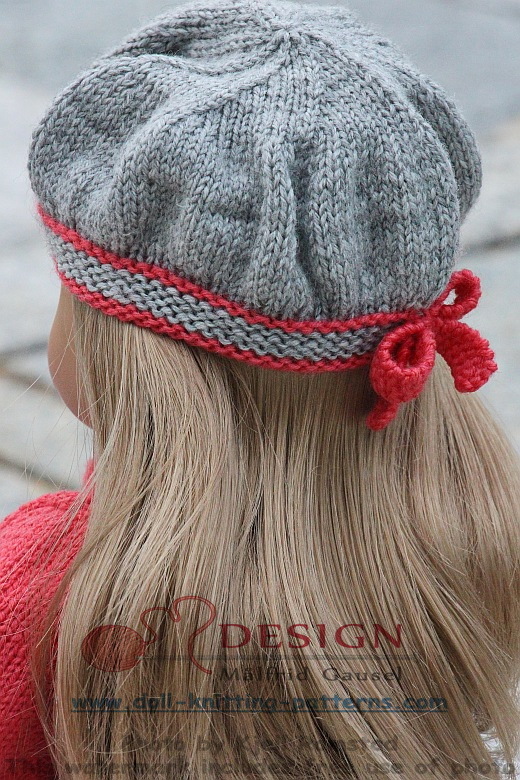 I thought, why not knit a hairband in this collar using the plait pattern. As thought, so done! 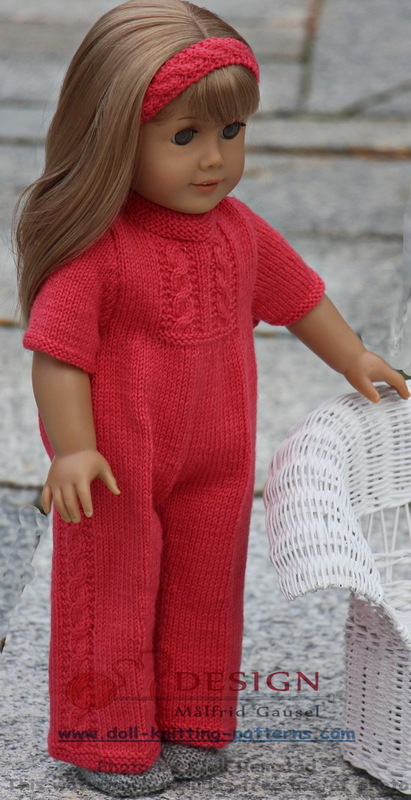 This time I knitted plaits along the legs of the suit and as I knitted the legs, I thought that this could be fine. 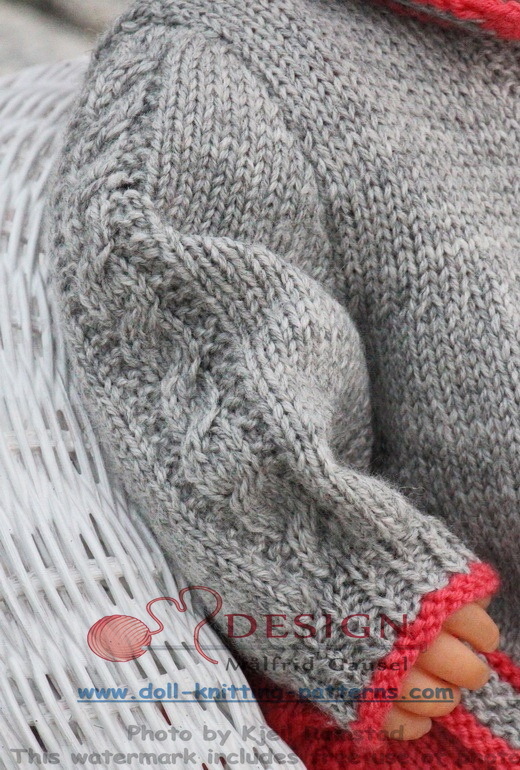 In front, I have decreased it at the center and knitted a plait pattern for the center front. 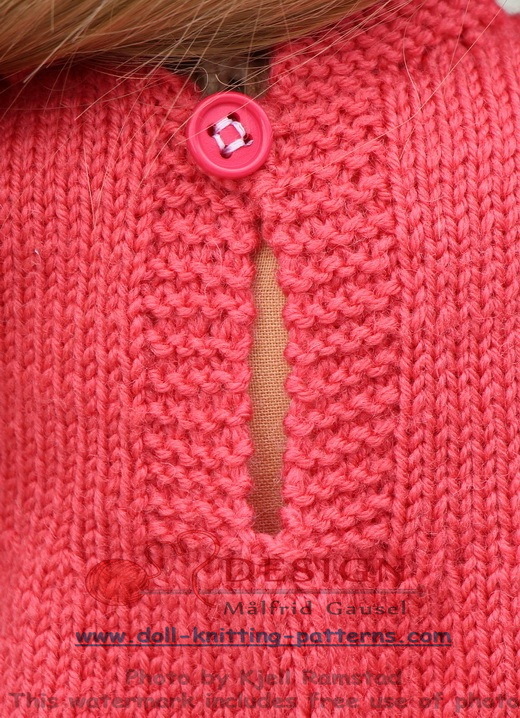 Back it is open along the edge sts and buttoned at the top with a button.